The fact that you’re reading this means you know you should talk money with your kid. Whether the subject terrifies you or intrigues you, or you’re simply looking for ways to broach the topic, the good news is that you’re plunging in. Go, you! A few quick words about this chapter. Though its title might make it sound like I’m expecting you to be a financial drill sergeant (“Now drop and give me twenty compound-interest calculations!”), I’m not. This chapter is the gentle one, meant to ease you into some overall concepts—and context—that’ll help you engage with your child about money. Some points will apply, others might not, depending on your kid’s age, interest level, and even gender. So don’t think that you need to commit everything to memory or take furious notes. The idea here is to put down your highlighter and just read. One final thought before we begin: Money conversations don’t happen in a vacuum. Instead, they pop up at various times throughout the messy business of living. Though it’s become a cliché, most learning happens during these everyday “teachable moments.” The tips below and throughout this book are meant to help you take advantage of these opportunities. 1 Start even earlier than you think you should. By the ripe old age of three, researchers at the University of Wisconsin–Madison report, many children are able to grasp economic ideas such as value and exchange, albeit in a very rudimentary way. They can also delay gratification and make choices. Though basic, all these concepts are important in understanding the role of money in our daily lives. Although there’s no economic equivalent of Baby Mozart videos, no stuffed dolls that look like Warren Buffett to tell your kid to “buy low and sell high” when you squeeze them, that doesn’t mean you shouldn’t pay attention to this stuff when your child is small. Your toddler is eager, and able, to understand a lot. When you notice your little one “swiping” a pretend credit card, asking to push the buttons at the ATM, or looking through your wallet, instead of chuckling indulgently in a “kids say the darndest things” way, start teaching him some of the basic lessons in this book about where money comes from and how to pay for things. Even if your preschooler doesn’t absorb it all, he will still notice that you’re talking to him about something that matters—something grown-ups care about. And odds are, he’s already soaking up more than you think. 2 Keep it age appropriate. Sticking to the truth is good when it comes to money, but so is adapting your message to your kid’s level. If you lose your job, it’s fine to say to your elementary schooler, “We’re going to cook at home more, since that costs less than eating out.” Skip the part about being in such dire straits that you’re dipping into your 401(k) to make ends meet. Given the same scenario but with a kid in high school, talking about how the loss of an income will affect college financing would be not only acceptable but also wise. You can discuss the reality that your family might not be able to put as much toward college expenses, but at the same time explain that she might qualify for more financial aid. In general, when it comes to having any hard money talk with your kid, it’s good to tell it like it is, but also offer reassurance that she—and you—will be okay. 3 Use anecdotes. More often than not, when we launch into lecture mode, our kids tune out. Or, worse, our pontificate-y good intentions backfire and push our children to do the opposite of what we’re trying to get them to do. Instead, use stories to illustrate a point. When my friend couldn’t get a decent rate on a car loan because she’d run up too much debt on her credit card on a monthlong, over-the-top European trip the year before, I told my kids the details (without mentioning her name). Anecdotes such as these, which highlight how financial blunders lead to consequences, tend to stick in kids’ minds. Same is true of positive lessons, like an example of the neighbor who saved religiously for ten years, putting aside 1% of every paycheck, so that he could finally buy his dream fishing boat. You get the idea. 5 Don’t lie about your money past—but don’t overshare, either. Most of us have had a flirtation with bad money management at some point, whether we ran up too much on a credit card or bounced a check or two (or ten). But resist the urge to come clean about your money mistakes to purge your own feelings of guilt or irresponsibility: Your kid isn’t your financial advisor—or your priest. Take a page from the latest research on talking to kids about drugs, which shows that parents who have themselves indulged in the past should not go into details with their kids. If you’re answering a direct question, definitely pick and choose which financial sins you disclose; tales of emptying your bank account for a road trip with an old boyfriend or blowing through your 401(k) savings to fund a wacky business scheme may glamorize what were actually regrettable decisions that took you many years to overcome. 6 Never fib about how much money you have on you. This is something that nearly all harried parents do at some point. Whether our wallets are full or empty, in the heat of the parenting moment, it is natural to want to lie a little to avoid tantrums when passing our kid’s favorite stores or during difficult checkout-line discussions. Try not to. Although it might seem harmless to tell a young child, “I don’t have any money with me, so I can’t buy you that bag of gummy bears,” it’s better to say something like, “No, I don’t think we need to spend money on that now. Besides, the dentist told us to avoid chewy sweets.” Straight talk is a good example to set, and if there are real reasons behind your decisions, it’s actually helpful to share them with your child. If what your kid wants simply isn’t in your budget, say so and explain why. Or if you oppose the purchase for some other reason (say, you don’t want your kid toting a bazooka water gun around the neighborhood), then explain that, too. Remember that children are smart and won’t just settle for “We can’t afford it,” which, surveys show, kids mostly don’t believe anyway. No matter what your reasons, saying that you don’t have cash won’t work, since kids know there are lots of ways to pay for things. If you swipe your credit card a few minutes after pleading poverty, you’ll be busted. Once you get caught in a lie, your child will always wonder if you can be trusted. It’s just not worth it. Bite the bullet at the point of purchase now, and it won’t bite you in the backside later. 7 Identify your financial baggage—then leave it behind. Nina, now in her midthirties, used to tell anyone who’d listen, including her kids, that her “inability to do money,” as she put it, is due to her parents’ financial ineptitude. “They knew nothing about budgeting, never saved, and lived life in a completely irresponsible way,” she’d say. I also know people who tell me the opposite: They’re bad with money because their parents were so controlling and frugal, and they promised themselves that they wouldn’t live that way when they were parents. Here’s the point: It’s good to be aware of how your parents handled money and the ways that has affected your behavior, but don’t use it as an excuse to explain away your money foibles or, worse, to avoid teaching your kids about the subject. Approach money in a positive way—you might need to fake it, at least at first—instead of passing on that negativity. If you and your spouse or ex are often at odds over money, you will need to figure out in private how you are going to work out a compromise. One study found that children of divorced parents who are drawn into the details of child support and parental salaries, for instance, tend to equate financial support with love, and make one of their parents the bad guy. Telling your son he can’t play in the local soccer league because your ex is late on child support and you can’t afford the uniform fees yourself can mess him up about money. Even though parents who are no longer together might find it hard, speaking with “one voice” on financial matters is usually the best thing for your child. And when kids try to play the two of you—divorced or not—against each other, as they invariably do, resist the temptation to act the hero. Try your hardest to reach an agreement, and present the decision as coming from both of you. 9 Don’t expect your child to have money skills if all you’ve given him is money. Daniel and Mindy were devoted parents. They checked over their three sons’ homework each night when the boys were in elementary school, excused them from basic chores in middle school so that they could do homework instead, and, before the kids went away to college, handed each a credit card to cover all bills. When their oldest son graduated, he moved back home and proceeded to binge-watch every HBO series since The Sopranos. One day, after he’d asked his mom if she’d mind throwing his T-shirt in the wash, Mindy snapped. “I’m done! You’re a man, and you need to move out next month,” she yelled. Though Mindy felt awful for losing her cool, Daniel reassured her it was just the “tough love” approach that their son needed. As a parent, you might sympathize with Mindy and Daniel, but here’s the thing: They are just as much at fault as their son. Cutting a kid off financially after years of support without laying the groundwork is akin to abandoning him in a foreign country where he doesn’t know the language, customs, or laws. With money, as with most other aspects of parenting, it’s important to introduce expectations gradually rather than go from zero to sixty. 10 Share the talking. Research shows that most of the time, kids ask their moms their financial questions. 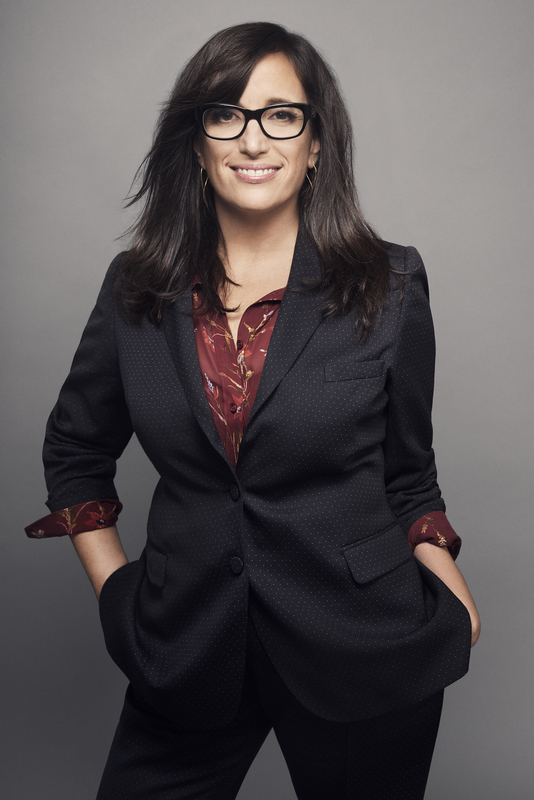 That said, I’ve personally observed supersmart women who are extremely successful in the business world pull the old “Ask your father” routine when the subject of money comes up. It’s possible they’ve just had a long day or are preoccupied with thoughts of work or sick pets or the malfunctioning range hood, but when this deferral to Dad becomes a pattern, it sends the message that money is a man’s turf. Um, I don’t think so. No matter your family configuration—mom and dad, single parent, two moms, two dads, or two parents plus two stepparents—make it everyone’s business to participate actively in the money talk with your kid. Avoid phrases such as “Mom is better with money” or “Dad is the financial brain around here.” It’s completely fine to say, “You know, I’m not sure about that, but I’ll get back to you.” And then go find out the answer. Just make sure to actually follow up and relay it to your kid. 11 Avoid creating a money gap. Though the “math gap” between boys and girls has been well documented, there’s also a definite “money gap.” And parents are part of the problem. In numerous studies and surveys, kids say that Mom and Dad talk to boys more than they talk to girls about money—particularly subjects like investing. The result? Boys express more confidence about money—and parents think their sons understand the value of a dollar better than their daughters do. Given that your daughter will very likely be paddling upstream to keep pace with the boys financially anyway—women still earn less than men and have less money socked away in retirement accounts—they really need to hear the facts early and often. Bottom line: Boys and girls alike should know this stuff. 12 Don’t try to keep up with the Joneses (let alone the Kardashians), because you will teach your kids to do the same. It’s natural to make comparisons with other people; it’s just something we do. Living in a consumerist, instant-gratification, media-driven culture doesn’t help. Nevertheless, fight the urge to compare your family’s money choices with anyone else’s. Sounds easy, but there are times we all feel that annoying tug to judge others or second-guess our decisions when sizing up our friends and neighbors. You might feel that saving for a family trip to Nepal trumps renovating your old kitchen—you can live for another year with a retro countertop and chipped floor tiles. Your neighbors might prefer to splurge on a basement game room and travel no farther than the town pool. Hey, different strokes. Resist making assumptions or drawing conclusions about another family’s spending habits or values—especially within hearing range of your offspring. Not only are you setting a bad example, but also research shows that comparing various aspects of our finances with those of our friends makes us less happy overall. The ways that people choose to spend money are very personal. If you want to teach your kid to avoid the trap of keeping up with—or looking down on—their friends and neighbors, steer clear of that behavior yourself. 13 Choose your moment—and your place. Kids, especially teenagers, are hard to corral for anything—especially lectures. That’s why it’s important to weave the money lessons in this book into day-to-day life. Did your son get a check from Grandma? It’s a great time to finally take him to the bank, open that savings account you’ve been talking about, and help him deposit the money. That also leads to discussions of interest rates and choices between, say, certificates of deposit (CDs) and regular savings accounts. Are you about to buy a new family laptop? Have your kid help you shop around for it (and, if you can, allow him to keep a portion of the difference between the price at the local electronics store and any better deal he can find you online). And when making a big purchase—say, a car—take your kid with you to the lot and discuss negotiation techniques. 14 Don’t flaunt bad money behavior in front of your kids. It’s easy to fall into the “Do as I say not as I do” camp when it comes to money. But try to police yourself. 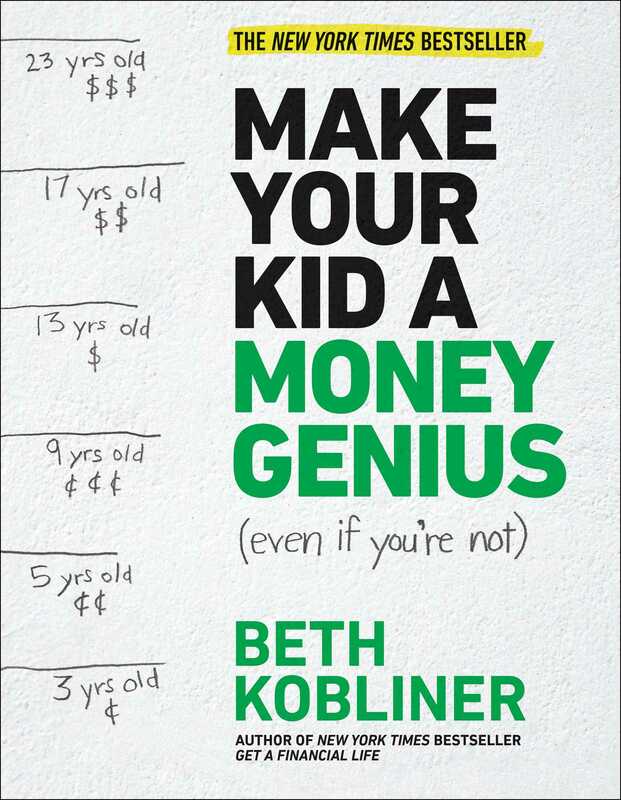 You might not need to be a money genius to raise one, but there’s no need to rub your bad money habits in your kid’s face. If you’re talking to her about the hazards of credit card debt while holding a fistful of Macy’s bags, she won’t find it cute, and she will find it hypocritical. So take whatever baby steps you can. Trying your best to get your own financial life in order sends a powerful message. Some people believe it’s wise to tell all to their children. I don’t. When it comes to money, I think there are some things that kids—particularly young kids—aren’t ready to process and, frankly, don’t need to know. In some cases, it’s simply a pragmatic decision. If you tell your kid your salary, for example, be prepared to be hounded about why he can’t go on that beach vacation or get that $8 bag of popcorn at the movies. Or just as likely, be prepared for him to tell his friends. 1 Your salary. Whether you earn $50,000, $150,000, or $500,000, there’s no need to share numbers. That doesn’t mean you can’t give your kid context. For instance, you can tell him that the median (meaning exactly in the middle) income in the United States for a family is about $65,000, then let him know where you stand in relation to that number. These amounts might sound like a lot or a little to your child depending on his age and his awareness of what things cost. This can be a starting point for many of the discussions about spending and saving described in this book. 2 Which parent makes more. If you and your spouse both work full-time, avoid discussing who earns more. Putting dollar figures on what Mom and Dad earn can send the message, especially to young children, that one parent’s contribution is more important than the other’s. If the disparity weren’t important, why would you have shared it with them? Of course, many teens will know, for example, that corporate lawyers tend to make more money than schoolteachers. If your child brings up the topic and wants to know why your job as a social worker pays less than your spouse’s banking job, this is a great chance to talk about the psychic rewards and trade-offs that one or both of you make in order to have the lives you choose. If one spouse takes care of the kids full-time and the other works for a salary, it’s a good idea to discuss the value of stay-at-home parenting, making it clear that this is a job, too. In general, regardless of the details, it’s best to display a unified front: We’re a team, we work together, and it doesn’t matter who earns what. 3 The amount in your 401(k). When I was about 10, my neighbor Susan told me that her parents had a million dollars saved in their retirement accounts. My first instinct was to think she was a liar. After all, I didn’t know anyone who had a million dollars. Whether it was true or not, no good came from my knowing this information—or misinformation, as the case might have been. Your 401(k), pension plans, savings, and investment accounts are your business. Your kid doesn’t have the perspective to understand that this isn’t money you should tap now, and that even when you do start drawing it down, it has to (hopefully) last a very long time. 4 Your belief that Cousin John or Aunt Louise is cheap/rich/a deadbeat. All families have their eccentric characters. And truth be told, a great deal of family dysfunction centers on money. But this type of talk is to be had out of the earshot of children. Sure, you’re irritated that your loveable but irresponsible younger brother owes you $1,000 but is going to Aruba before paying you back as promised. But if you mention this around your child, he’ll not only hold it against his uncle but also remember it long after your brother has paid you back—an update you might be less likely to mention. If you’re looking to teach a lesson about the hazards of lending to family members or friends, go with a story that’s not about people they know (or simply change the names). 5 How much you pay the babysitter/nanny/tutor. Jana likes to tell the story of how shocked her kids were when they learned that their beloved babysitter Jennifer—who was always a joy—was actually paid. They believed that, if anything, Jennifer was paying their mom to hang out with them. It’s fine to tell kids early on that babysitting is a job like any other (albeit the most important one I have ever hired someone to do). But definitely do not tell your kids how much you pay. Doing so gives your children an informational upper hand that you don’t want them to have when it comes to their caregivers, whose job it is to be the boss when the parents aren’t around. The last thing you want to do is strip that person of his or her authority. 6 What you spent on a gift. The joys of giving and receiving will be lost on your kid if you mention the price each time you give a present—whether it’s for your son or daughter or for someone else. First and foremost, the value of a gift is not always reflected in its price. After all, some of the best gifts, like making pizza with Dad or building a couch fort with Mom, are basically free. But during gift-giving occasions, you might encounter upset kids, and that’s an opportunity to talk about money as well as the spirit of giving. Remember that sometimes kids aren’t so much entitled as clueless and need to know the facts. The 10-year-old nephew of a friend was in tears at his birthday party when he noticed that he had gotten fewer presents than in previous years. His mom had to explain that now that he was older, the things he wanted cost more money. So a few of his relatives had pitched in to get him the pricey iPad he really wanted, rather than a bunch of smaller gifts. 7 How much you worry about paying for college. If you’re like most parents, the idea of paying for college one day is nothing short of terrifying. Though you will learn in Chapter 9 why it’s great to talk about college when your kid hits high school, there’s a difference between having purposeful conversations and radiating anxiety. Avoid overly negative talk about how expensive college is or how stressed out you are about affording it. Even if we are talking in general terms, our rants and raves can easily be misinterpreted by our offspring, and they might conclude that college is a major burden that they don’t want you to have to shoulder. Of course, you shouldn’t make a blanket promise that you’ll foot the bill no matter where your kid gets in if you aren’t sure you can do that. But you can and should say that college—or any sort of higher education—is a priority, and you are truly glad to be saving for your child’s future.